This little guide to hand lettering proves that calligraphy is as easy as picking up pen and paper. Focused on calligraphy’s most popular alphabet—italic—this delightful manual introduces basic capital and small letters and numbers, plus all the creative flourishes you need to customize your unique script for every project and occasion. With quick and easy instruction from calligraphy teacher and designer Judy Detrick, Simply Calligraphy will have you whipping up elegant invitations, pleasing place cards, and personalized thank-you notes in no time. I remember when I was little, my mom had a Calligraphy set. I have always wanted to learn how to learn to write "pretty", but never picked it up when I was younger. 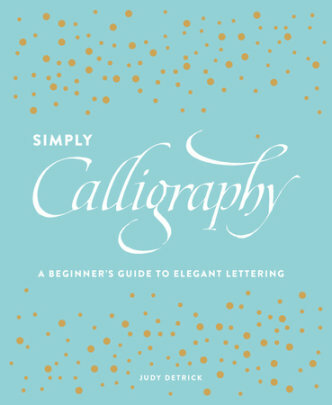 Now that I'm older, I still love Calligraphy, and can't wait to dive into this book and learn how to do it. I also can't wait to teach my three daughters how to do this as well. This will come in very handy in the near future. We are planning our Vow renewal ceremony(for our 10 yr anniversary) & I can use what I learn in this book to make our invitations! "Simply Calligraphy" includes everything you need to know to get started in the world that is Calligrapy. This book is a very detailed starters guide, teaching you how to write in both upper case and lower case letters, and also gives samples of different types of fonts, numerals, flourishes, and even project ideas. 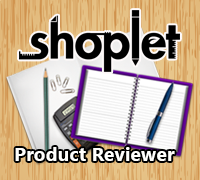 It also gives you an idea of what type of materials you will need to buy to get started. Thankfully for beginners, there are not many things to purchase to just try it out. I think this is such a fun book! The directions are super easy to understand, and there are tons of photos showing you how to create the flourishes and letters.